We provide several options for balancing your formes to maintain a constant cutting depth. For hand plattens and cylinders we recommend using the hardened stainless steel reinforced Shim Tape for the best results. While on Bobst and other automated cutting systems we recommend using the thinner Profi-tape type. If you would like to learn more about our range of tapes and if they could help you, contact us today. Shim Tape is also available in 10 metre lengths and a variety of thicknesses. Contact us today to learn more about using Super Shim Plus and the benefits it can bring. 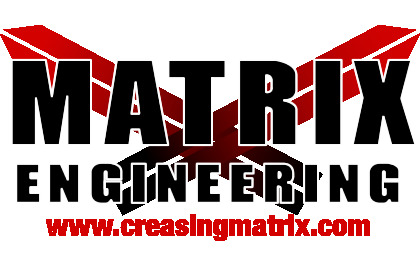 You can learn more about Matrix Engineering on their website.